Here's one of the items that I got from The Fashion Swap. 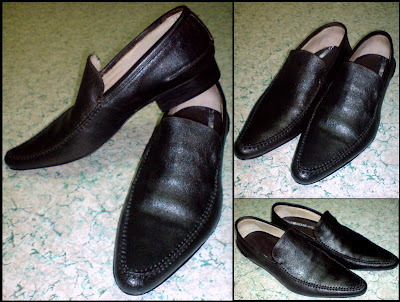 It is a black pointed leather shoes from Gixus. I so love them because of that vintage crack effect with a modern touch because it's pointed and I'm sure it will suit my style whether I'd like to go formal or in just in skinny jeans.